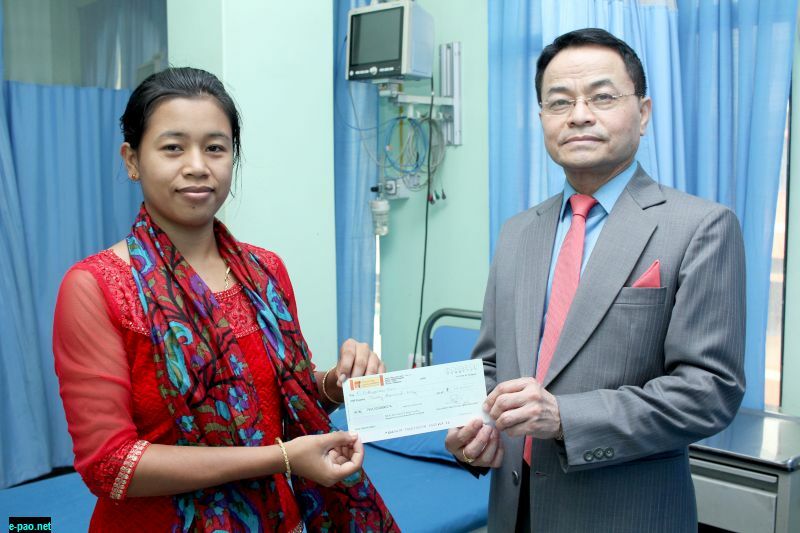 In continuation of providing financial assistance to heart patients of the State, president of Manipur Heart Foundation (MHF) Dr L Shyamkishore donated a sum of Rs 30, 000 to P Bidhyarani Devi of Thoubal Athokpam to be used in medical expense for her 5-year-old son Tuleshor who is a heart patient . Bidhyarani Devi expressed gratitude to MHF for extending the financial assistance for her son's treatment . Dr Shyamkishore said that he would continue to provide financial assistance to the people belonging to BPL family and Economically Weaker Section admitted in Government or Government recognised private hospitals for medical, device or operative treatment of various heart diseases . For such financial assistances, heart patients or parents have to apply along with relevant documents to the office of MHF near SKY Hospital, Imphal West.